Locality: United States, Colorado, Boulder, North slope of Green Mountain, Boulder. 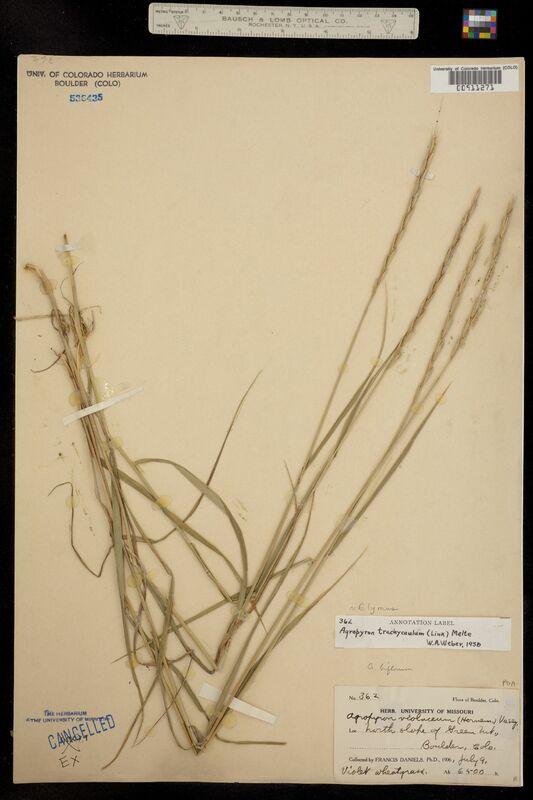 Occurrence Remarks: Agropyron trachycaulum (Link) Malte. Det. William A. Weber. 1950. 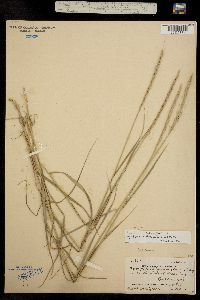 Original ID: Agropyron violaceum (Hernum.) Vasey. Voucher: Daniels, F.P., 1911. Flora of Boulder, Colorado and vicinity. U. of Missouri Studies 2 (2): 1-311.